So, I’m sure some introductions are in order for this post. My name is Pauline, and Aimee and Amy have been gracious enough to allow me to post here to RevisitingHaven.com. I am fairly new to the Haven fandom, having been peer pressured into it 100% by Aimee. 😉 She came to visit me for Comic Con last year, and we ended up interviewing several of the Haven crew, and I was introduced to the show. While initially skeptical, enough coincidences led me to dive into the show (including me finding out that not only were composer Shawn Pierce and I born in the same small town in Canada, but he went to school with my brother). Last year I was fortunate enough to have business take me to Halifax, and I explored the South Shore of Nova Scotia, falling in love with the place, ensuring I would return again for a vacation. Which, leads me to August 2015 when I found myself back in Nova Scotia for 10 days. Since my last trip, I absolutely fell even more in love with Haven, and participated as much as I could in the fandom. 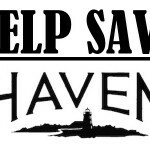 So, with a return trip to Nova Scotia, I wanted to make sure I did something Haven-related while I was there. And then, an idea presented itself. I happened to read an article about a girl who snuck onto the Orange is the New Black set and took pictures of screencaps held up to the real locations, and I thought, I can do that! I know where most of the places of Haven are! 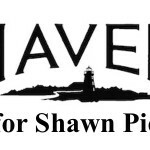 So, the #SaveHaven #photoproject was born. 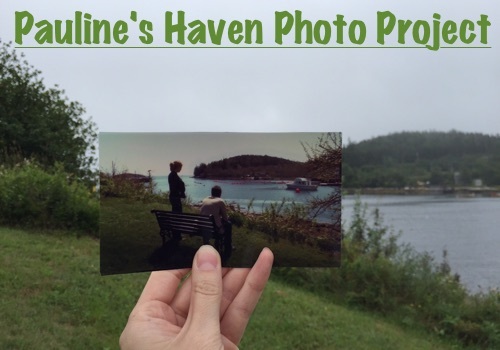 Over the course of a couple of weeks, I went through each episode of Haven, and pulled various screencaps, all the while figuring out where the locations were that were depicted. Some were obvious to me from my previous trip, but others proved to be difficult. Aimee and Amy jumped in, and we were able to find almost all of the locations I wanted. Then, armed with over 100 photographs, I headed out to Nova Scotia to start my photo project, praying I could make it work. The first few images I tried to take immediately proved to me how difficult this project was going to be, and I couldn’t get them to work. But then I got one with Nathan in front of the gazebo to work. So, I tentatively posted it on Twitter, and tons of you responded to it! It was completely encouraging, so I trudged on throughout the week, finding each location, standing there holding out a photo as I tried to line it up, furiously ignoring the stares of people walking by. I roamed all through the South Shore, from Chester, through Hubbards, and Northwest Cove to Lunenburg. At times I found myself standing in people’s backyards and running when I heard their dog discover me, to asking the Visitor’s Center in Lunenburg when low tide was so I could walk out to take pictures at Audrey’s dock. Some pictures didn’t work, but ultimately, a lot did, and I’m really excited to share them here with you. Go through them, and let me know what you think! And thank you to all who followed my project on Twitter and Instagram while I was doing it. Your favorites, retweets and sweet words really kept me going. This entry was posted in General and tagged Tagged: Pauline P., photo project, save haven, special project on Thursday, August 20th, 2015 .